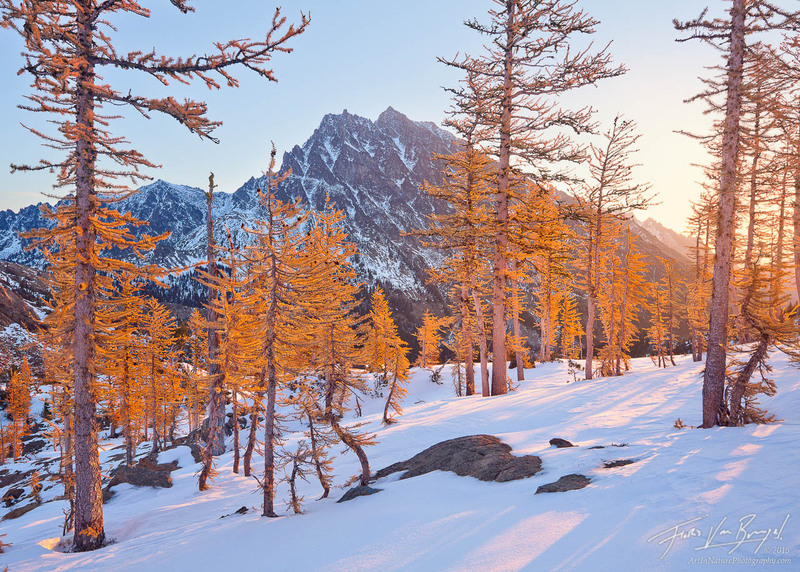 Crisp autumn air, warm sunshine, golden larches, and fresh, sparkling snow! Nothing can match the invigorating feeling of a night out in Washington's Cascades. Pictured here are Western Larches (Larix occidentalis), in their peak autumn color, with a view of Mount Stewart.